The Togu ABS powerball is the professional product from B.Co concept and guarantees safe training. The Togu ABS powerball is made from a patented material and is burst proof. The abbreviation ABS stands for the "anti-burst system". This means that if the ball gets damaged, it will not burst. The air will just slowly leak out of the damaged area. The Togu ABS powerball is very flexible and therefore softer than conventional balls. Thanks to its "bouncing effect", it is less springy than other exercise balls and is therefore ideally suited for strengthening exercises, ante-natal exercises, coordination and pelvic floor training. Tip: the product code for spare stoppers is 1509609. 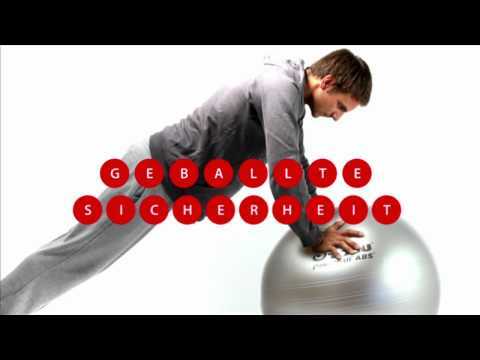 Get fit and order your Togu ABS powerball from Sport-Thieme today.